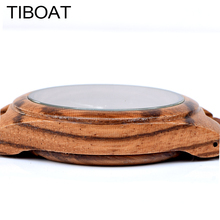 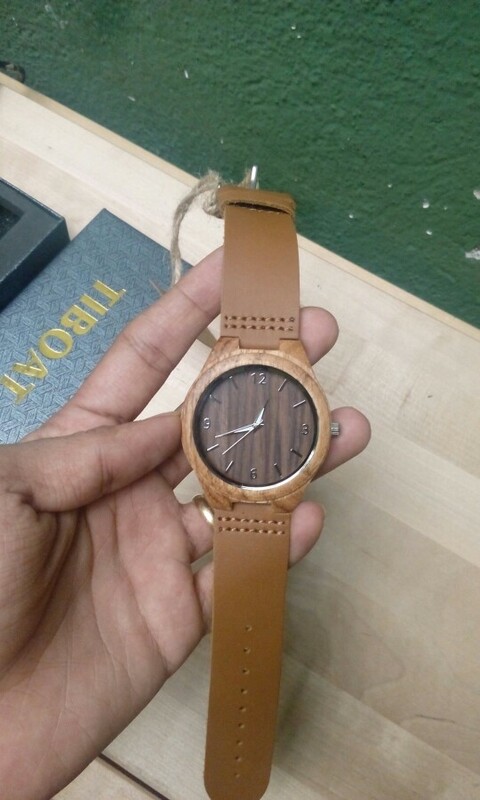 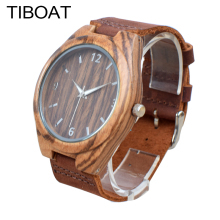 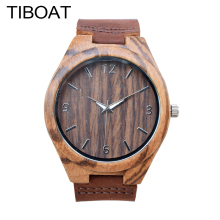 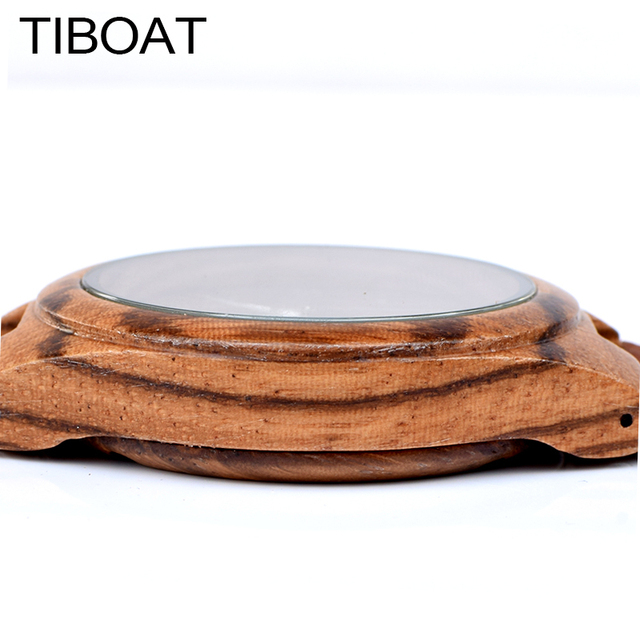 Notice: The watch is made from natural bamboo/wood and is wrapped by hand, so it may have some natural harsh lines and a few blemishes.As the light when we take pictures result in slight color difference .Hope to be understood from you, We strive to ensure product quality and good packaging to ensure safe transportation. 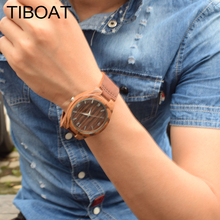 Strap made from Genuine Leather. 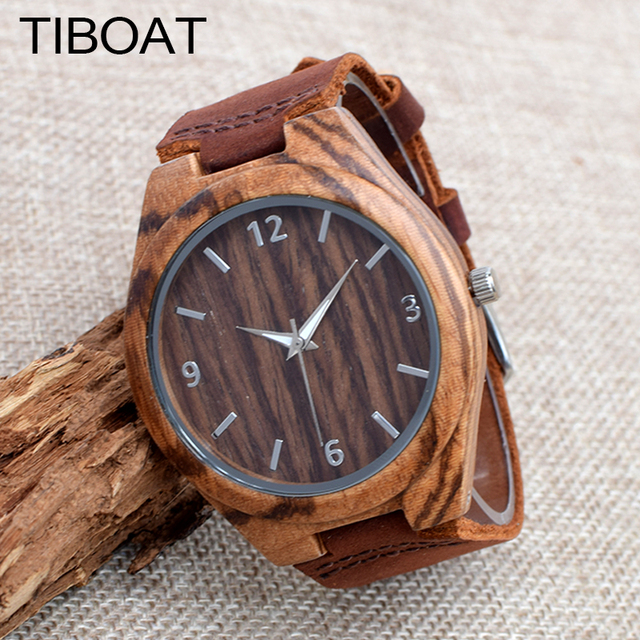 Beautiful wristwatch, well worked out. 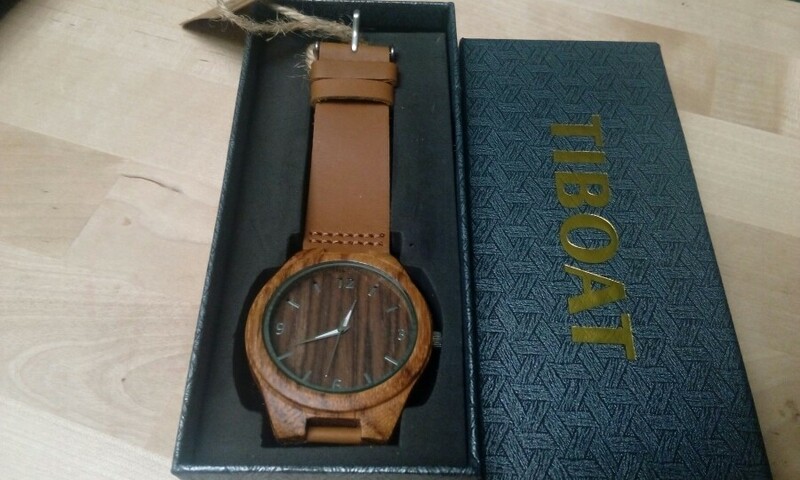 Very elegant.Very recomandable!